Touched Music has gone from strength to strength and nothing says that more than the generosity of well-known & awesome artists prepared to bring their talents to the table. 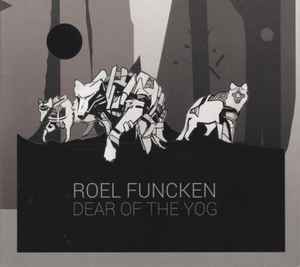 This time, Roel Funcken is kind enough to grace us with 'Dear of the Yog' - a collection of remixes and remixed tracks to whet our appetites. Roel's output has long since given me enjoyment, whether it be as part of Cane, Funckarma or his own offerings, so it's truly great to see him amongst us. These eighteen tracks are simply bliss. Bang smack in the middle of it all is a collaboration with Ochre, one of my favourite creators out there. As always with collaborative efforts it's tempting to try and pick out individual styles and influences from the completed work but these are so well executed it's just a a lot easier to sit back and enjoy everything on its clear strength. The production values are strong, the variety is real and there are some real bangers here. With an almost Balearic entrance by way of Martin Nonstatic's rework of 'Spawkings' you could easily be mistaken that this was 1999, but the cat is out of the bag with clearly modern instrumentation choices that don't take away from the overall chill. Ben Fowler mashes up 'Fygon Isk', using big, wide & dark sound to structure an evolving piece with a pensive ending. Equally well structured but In stark sonic contrast is its successor 'Drogan', crafted once again by veteran Lusine - it's a gated masterpiece. The other contributors don't fall short either. Of note are Woulg giving us glitchy suspicious madness with a remix of 'Circuit Interference', Rumpistol reworking 'Bloid Fraxton', presenting like a robot trying to get into your pants and Illuvia's very liquid and flowing take on 'Pead Bandorum' transports me back a few years. What really gets me going is the version of 'Leaved'. Generate was one of my favourite artists from the original Touched compilation releases, the rhythm is the kind of thing that reminds me of some of Cane's output and it's perfectly suited here. It's truly awesome. Roel returns the favour too, with others having their songs given his unique treatment. I'm always happy to see a remix of Plaid and we get one of 'Wen' from 2016's 'Digging Remedy'. Ochre appears not once but twice, first with a collaborative piece that you're going to want to play on a nice sparkly sound system, and then with the album's slow & steady outro remix piece 'Android Robson'. It's a true bridge between two worlds and if you don't believe me try putting on Ochre's 'National Ignition' immediately afterwards. In a first for Touched Music, Roel has opted that the proceeds for this release go to animal welfare in Asia, it's good to see other great causes getting the Touched Music treatment.